The 2 kopeck perforated Imperial Arms with Poltava I Trident in violet is probably the most common Trident of Poltava (Bulat 943). But here is an interesting variation: weak strikes of Poltava Ia applied in violet as a single handstamp have been corrected by subsequent application of Poltava Ib in black (on its own, this would be Bulat 982). The quality of the scans I can now produce allows this to be clearly seen. 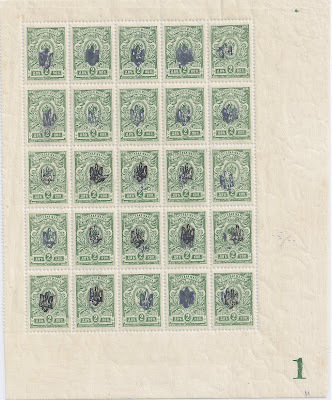 Bulat lists this variety, but simply as "corrected overprint" (Bulat 943d). 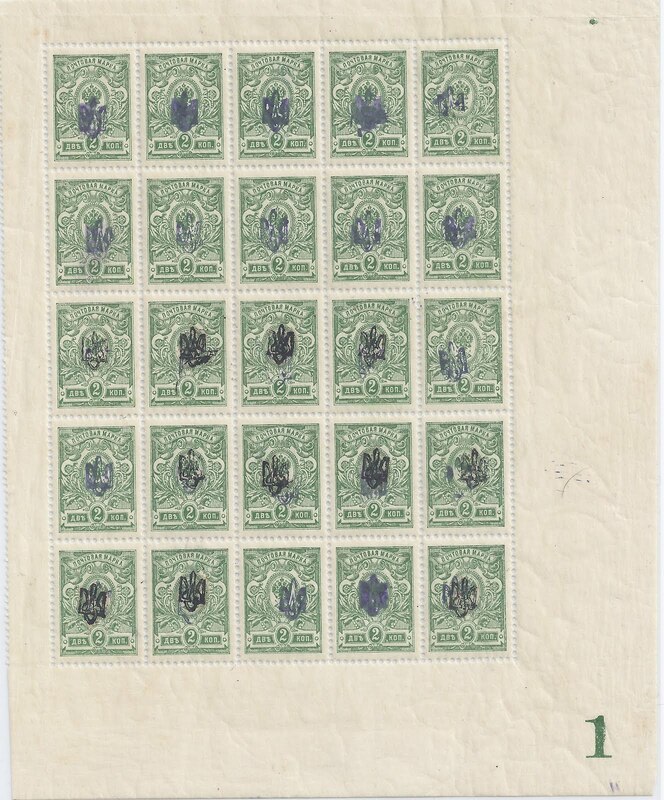 The "violet" overprint is actually quite blue and this is quite common (sometimes the blue is even blue-green).